Carol Costarakis and Rolf Haas, have invited us into their lovely home that showcases their artistic creativity and passion for gardening. Carol and Rolf gutted and remodeled a home in University City and built an inspiring, lush, tropical haven. 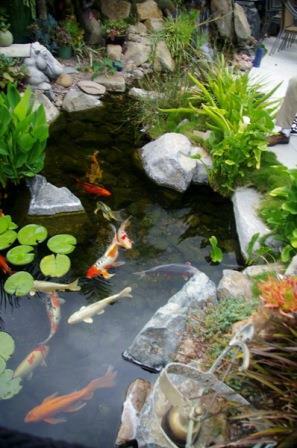 Their garden centers on a large koi pond that surrounds a pavilion island and entertaining areas. 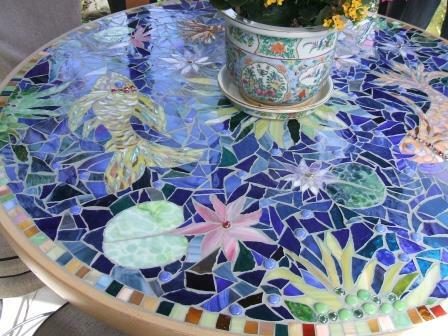 Every space on their property is fully utilized and part of the artwork. Their garden will awe and inspire you with ideas.